Susy, that is wonderful news!!! I believe the rooms do have a coffee maker, but I'm pretty sure that you have to pay extra for a refrigerator. The time we stayed there with C&C we brought along a cooler which we then filled with drinks and ice and shared in front of one of the ground floor rooms. For anyone interested in booking thru Expedia, do a search there by starting with the dates you prefer from your departure airport, then for destination put in "Puerto Morelos". Do NOT put in Cancun. Then click on "Hotel/Flight" package for your preferred dates, once the next screen loads, click on the "Price" option near the top and HM should show up in the first few listings. Chris just got a great price for their trip. Me, Babs, and Bosco sharing a laugh at breakfast, that Bosco is a fun guy, sure hope he joins us again! Photos provided by the lovely Catalina, maybe she can come down too? 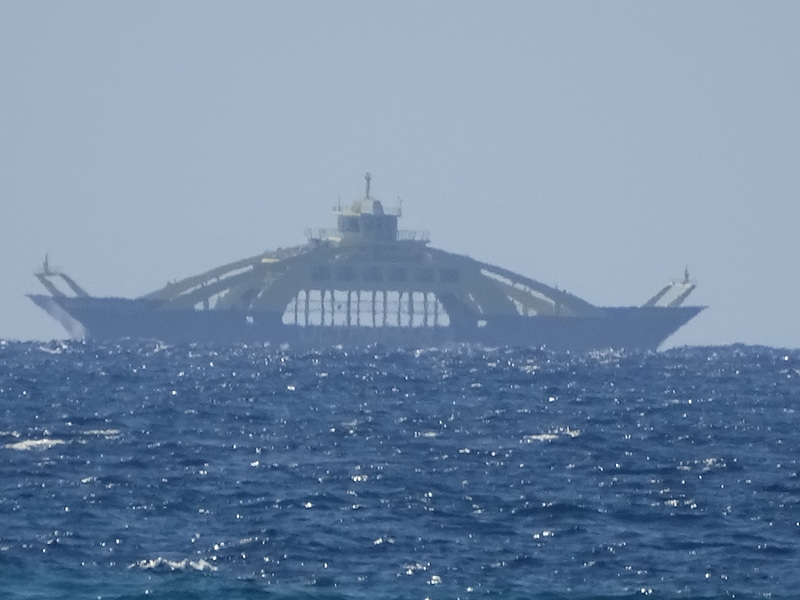 We still don't know what this funky looking vessel is, anyone have any ideas? Badger, we saw that thing off of Isla Mujeres! I thought it was a car ferry but it sure looks fancy for that!!! Did HM add fridges yet? Susy, I think you are correct, it does look like a ferry, thanks! Sundog, someone told me that they have a limited amount of fridges available for around $10 US/night. The odd looking boat is the ferry for trucks. It docks one end at a terminal, trucks drive on, then it docks the other end at a terminal and the trucks drive off. Kind of like a floating bridge. Susy, would you please post your dates? I want to start a post that contains everyone's schedule. Thanks! Hi Badger! Hope you're feeling better!!! We arrive on Thursday, May 2nd and leave on Wednesday, May 8th. Update! Our family cruise in April has been postponed so now I can be at the LG party in May without feeling guilty!!! In fact, we are planning on staying on Isla Mujeres for a few days after we leave Puerto Morelos!!! Badger and Babs, dates TBD. I'll be there probably May 1-2 till at least the 8th. It might shift to either side but about a week. Maybe more. In the morning before I leave, I am booking room 101 & 102, at the end by the pool, unless someone previously specified. I'm booking an extra room, or possibly 2, just in case. You never know who will surprise us at the last minute and need a room. Plus they are so cheap NOW. Another fabulous day in paradise. More later. I gotta pack and shower. I can answer probably any questions you may have. NO NEED for a fridge. The Chedurai will be 20' across from the lobby and the security parking gates. A $2.00 styro cooler and a trip across a couple days for a bag of ice, great wine, cheap booze and everything else you could possibly want. Peso exchange rate currently is approx 19 to 1. My favorite French Dijon is $2.00 vs. $8.00 home. Paul, booked my room. April 29 arrival May 4th depart. See ya when I get there. Gem, I think you and Tatt would enjoy PM. One thing we really like is that it is so cheap and easy to get to from the airport on the ADO bus and then a very cheap taxi to the port area. Also the fact that you can leave the airport and be in PM in about 30 minutes. I just found a website based in PM that has some good info for those of you not so familiar with the town. I suggest scrolling down a bit and then on the right clicking on the "2018 Year in Review" to begin. 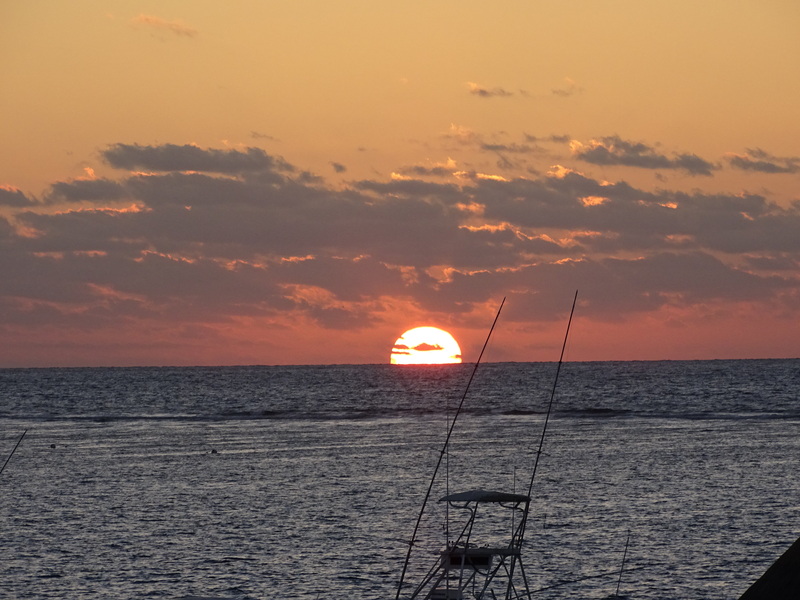 Here are more videos of Puerto Morelos on YouTube. Posted this on the BC as well. LOVE Po Mo and would love to join this all star cast of amigos and amigas!!! I'd like to post my dates but so far I haven't found the flights I want at a good price. Soon.